Up against a sociopath who seems to know her every weakness, for Detective Stone, each move she makes could be deadly. As the body count starts to mount, Kim will have to dig deeper than ever before to stop the killing. And this time - it's personal. 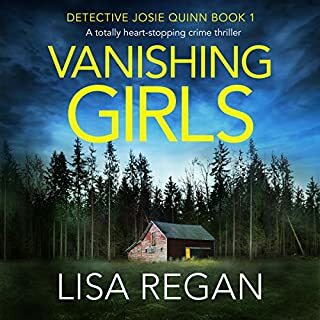 The rising star of the British thriller scene returns with a novel that enthrall fans of Rachel Abbott, Val McDermid and Mark Billingham. A detective hiding dark secrets, Kim Stone will stop at nothing to protect the innocent. Evil Games is the second book in the series - see where it all began in Silent Scream - out now. Evil games was a bit lacklustre for me compared to Silent Scream. It may be because I am a psychiatrist but it just seemed silly. 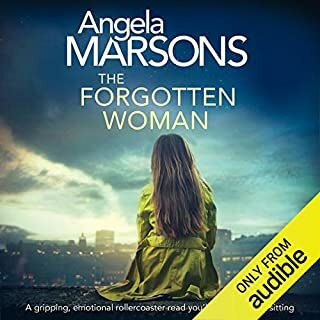 The narration was excellent however and I am still curious about what else Angela Marsons has to offer. i have read this book at least 3 times great book loved it alot. 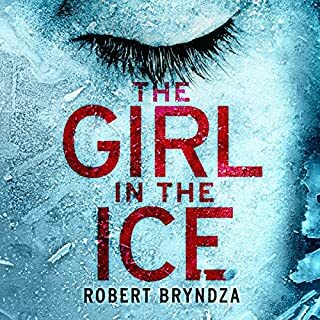 Loved this book, main character complex and highly interesting, second book I've read in the series, both equally as good as each other!!! Wow! 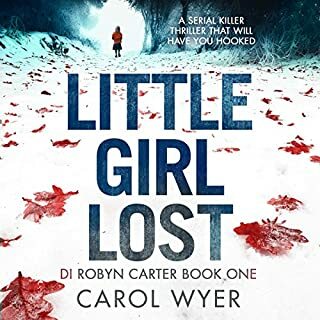 Another cracking thriller that keeps you listening. You won't be disappointed. Give it a go. I nearly couldn't finished it because of Alex how manipulative, evil and psycho she is at playing people lives. Detective Kim Stone is relentless in her pursuit for justice. Jan Cramer is becoming one of my favourite narrator she is excellent. Really enjoying this series so far, and apart from the few jumps in the audio here and there, it's been great to listen to! loved the a story line. Best read in a while. Loved the evil Alex, interesting. A great listen with a strong female lead character. I liked the main criminal premise and I learned about psychopathic behaviour. The story moved quickly forced you to pay attention. A little long and winding but pretty entertaining. Very detailed psychological information that bogs the story down a bit. Excited to have found this author! Just wish there was more to read ): A thrilling, yet believable, storyline with new and intriguing characters alongside the original cast of the first book. Even if you find yourself figuring out the plot early on, almost every page is still a pleasure. Will be patiently awaiting book #3! The second installment of the Kim Stone series is just as good as the first (which was great) and might even improve on it. I loved learning more about Stone's past and the way it gets unfolded to us is an important part of the plot. This books' villain is truly devious and it is scary when you realize that someone could actually be capable of those horrible acts. I think this is what makes Marsons' books so good; the way the characters, good and bad, feel so real. Once again the pacing was spot on and the book was a breeze to listen to. If I had one criticism it would be that I wish the books were longer...because I can't get enough of them! Book 3 comes out on November 6 and I'm excited to dig into another Kim Stone thriller!! I really enjoyed this book! It is the second book in the series and it did not disappoint! I highly recommend reading this novel! Experiments of an evil & psychotic psychologist! 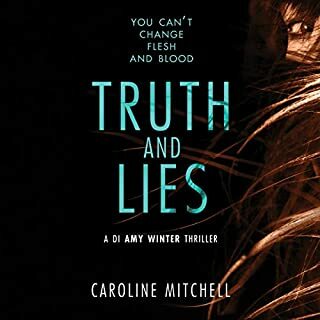 This book, Detective Kim Stone Book # 2, is a dark psychological thriller. Evil Games is much better than Book 1 in the series (Silent Scream). The novels in the Kim Stone series are set in Birmingham, England. 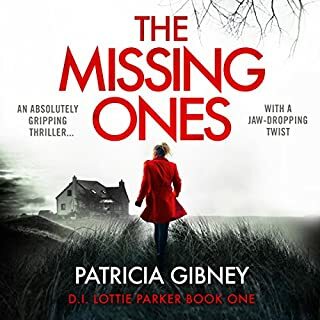 Stone herself is a lead police detective who still has all of the patience and tact she was born with because she has never used any of either. She has her own issues: a crazy and institutionalized mother who killed Kim's younger brother. Angela Marsons brain is a dark place. I recommend this book for people who enjoy dark thrillers. The sociopath at the center of this story is very nasty. The writing is very effective. Just be warned. Another clever page turner (ear-grabber?) from Angela Marsons. Very suspenseful, great characters, great villain, ready for more. What did you like most about Evil Games? Down to earth characters and a very touchy subject cleverly dealt with. Smart people manipulating the characters. What was one of the most memorable moments of Evil Games? No one particular moment; but all of the scenes with Alex and Kim and their build up to a final battle of wits. Kim has got to be in the line up - pardon the pun - but she is, for me, just pipped by Alex. Could well be except for time constraints. My listening is usually around two to three hours at a time, though this one could fit a weekend. 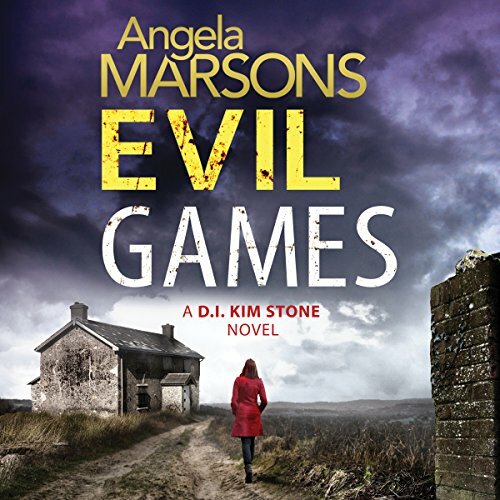 The Kim Stone series is definitely one to remember, along with the author, Angela Marsons. One tiny criticism is that Jan Cramer should have put a bit more pause between sentences - but this did not spoil my enjoyment. Well Done. I loved this .. start to finish. Great characters and excellent plot. I'm so sad I've finished it! bring on the next one! I can't wait to listen to more books in this series. It was gripping, exciting and disturbing. What did you like best about Evil Games? What did you like least? Would you be willing to try another book from Angela Marsons? Why or why not? Have already bought Silent Screams by same author so I will read most of it but will listen to the narration as I have already bought it. Very rushed made it hard to concentrate. Could you see Evil Games being made into a movie or a TV series? Who would the stars be? Better to read the author and not waste money on narration. I find the character of Kim a bit overdrawn and can't really relate to her. 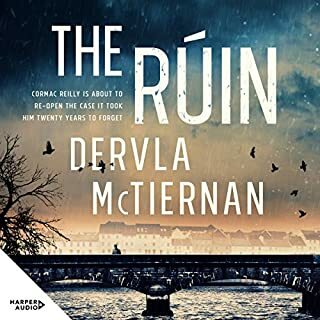 Not a bad book but I found the story in this one wasn't that intriguing, I was never on the edge of my seat and it also seemed not a very realistic story. I have avoided books by this narrator before but thought I would try this one as some reviews said it was better. Maybe it was a bit better, but still not good. The problem is that she reads as if she us describing her afternoon tea when the book is about murder and child abuse. Do you think Evil Games needs a follow-up book? Why or why not? Having listened to the first book, I took a chance on the second one in the hope that the narration had improved. Unfortunately, it hadn't very much. That said, the storyline itself was a little unusual and, again, very good. 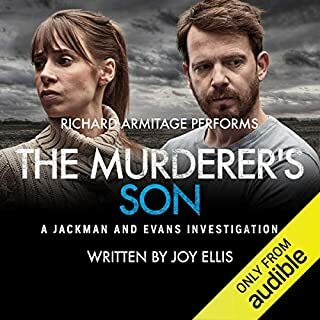 This was an absorbing plot which carried you along, unfortunately at the narrator's speed which, in my opinion, gives the listener no chance to catch their breath. 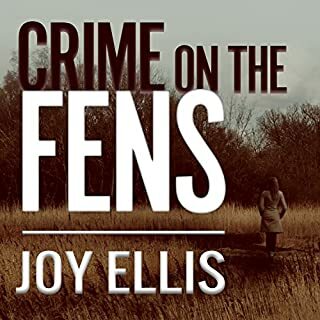 Anyone who enjoys run of the mill crime thriller that's not well written. I found Kim Stone, the main police character, difficult to engage with. She seemed unreal, as did one of the central characters. The story became increasingly implausible and lacked pace, despite a number of different events toward the nd. Who might you have cast as narrator instead of Jan Cramer? Anyon. I hatd hr attempt at varied accent. I've read worse, but in a packed genre, this is nowhere near top class. Anne Cleeves has created a real character in Vera. Kim Stone lacks depth and I'm not tempted to buy further books in the series. Strangely addictive! Still hate the narration! I really enjoyed the first book but almost gave up on the trilogy due to the terrible narration. Although I couldn't resist buuing the second book! I have to admit I didn't find the narrator quite as irritating as in the first book, but still thought it lacked flow and hated the accents! 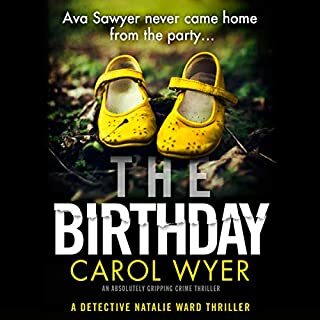 I enjoyed the fast-paced story and found it a really gripping thriller, although far fetched and cheesy!